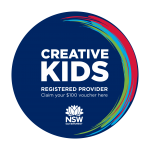 The October School Holiday workshops are online and taking registrations! Visit the Robo Camps page for more information. Register ASAP, as places will fill up quickly! Project Bucephalus is hoping to set up a new Robo Club at Kangaroo Valley Public School. We need 14 students to begin the class, so spread the word! Interested students should Contact Us.